Blast off for adventure with the Star Wars Back Buddy Boba Fett Jet Pack! Take your favorite goodies on the go in this backpack replica of Boba Fett's infamous rocket pack. A perfect gift for the Star Wars fan in your life! Blast off for adventure with the Star Wars Back Buddy Boba Fett Jet Pack! 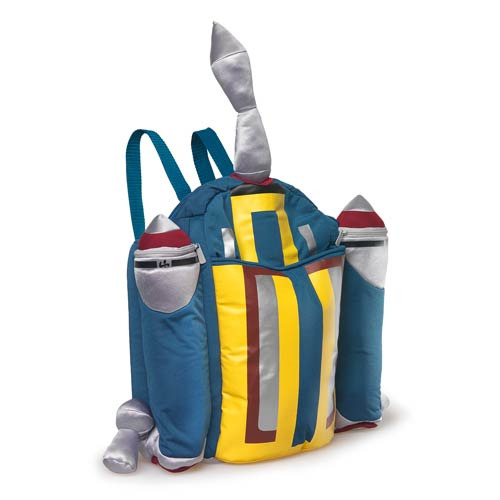 A soft plush replica of intergalactic bounty hunter Boba Fett's jet pack, this unique item measures about 26-inches tall and features an inner compartment to hold your stuff. Don't leave your galaxy far, far away without it!